Steele, Robert, “Zion in Shiksa-Land – Harvey Weinstein First Major Jewish Pedophilia Domino in the USA , Phi Beta Iota Public Intelligence Blog, October 22, 2017. Steele, Robert, “Robert David Steele: The Holocaust, Zionism, & AIPAC — Guilt by Association,” Phi Beta Iota Public Intelligence Blog, July 5, 2017. Steele, Robert, “Deep State 101,” Phi Beta Iota Public Intelligence Blog, June 4, 2017. Steele, Robert with Cynthia McKinney, “Memorandum for the President 3.1 (Translated into Trump-Speak by a Fan),” Phi Beta Iota Public Intelligence Blog, May 27, 2017. Steele, Robert with Cynthia McKinney, “Memorandum for the President 3.0,” Phi Beta Iota Public Intelligence Blog, May 23, 2017. Steele, Robert, “Yoda: Memorandum for the President in Trump-Speak,” Phi Beta Iota Public Intelligence Blog, April 11, 2017. Steele, Robert,”Memorandum for the President 2.2,” Phi Beta Iota Public Intelligence Blog, April 8, 2017. Steele, Robert. “The US Oligarchy – Fascists on the Left, Fascists on the Right, No Difference — How Donald Trump Can Take Down the Deep State in 90 Days If He Will Listen and Act…,” Phi Beta Iota Public Intelligence Blog, April 3, 2017. Steele, Robert. “Donald Trump: THE SPEECH [Annotated Edition] Free Online,” Phi Beta Iota Public Intelligence Blog, March 27, 2017. Steele, Robert. Memorandum for the President – Warning on a Violent American Spring, Eight Actions for Donald Trump to Make America Great Again UPDATE 8 – White House Petition Numbers Being Rigged Down?, Phi Beta Iota Public Intelligence Blog, February 11, 2017. Steele, Robert. “Fixing Intel II,” Phi Beta Iota Public Intelligence Blog, January 21, 2017. Steele, Robert. “Donald Trump’s Future — Over Reince Priebus’s Dead Body…,” Phi Beta Iota Public Intelligence Blog, January 16, 2017. Steele, Robert. “The Soft Coup Collapses – Blackmail Revealed – What Next? CIA was bluffing, produced no evidence – Russians did not “hack” the election. Is this the beginning of the end of the Deep State in the USA? Can Trump clean house & wage peace?,” Phi Beta Iota Public Intelligence Blog, January 9, 2017. Steele, Robert. “Fixing Intelligence II: Seven Precepts (A Latino View),” Phi Beta Iota Public Intelligence Blog, December 21, 2016. Steele, Robert. “Donald Trump, The Accidental President — Under Siege! A Soft Coup Rages within a Closed Rigged System…,” Phi Beta Iota Public Intelligence Blog, November 12, 2016. Steele, Robert. “RIGGED – Twelve Ways the Two-Party Tyranny Rigs the US Electoral System to Block Out Independents, Small Parties, and 70% of the Eligible Voters,” Phi Beta Iota Public Intelligence Blog, October 22, 2016. Steele, Robert. “Reflections on The People’s Army, The Constitution, & Grand Strategy,” Phi Beta Iota Public Intelligence Blog, September 21, 2016. Steele, Robert. “Reflections: Philosophy of Intelligence,” Phi Beta Iota Public Intelligence Blog, September 6, 2016. Steele, Robert. “Could Gary Johnson Actually Win?,” Phi Beta Iota Public Intelligence Blog, August 29, 2016. Steele, Robert. “Libertarians Now or Never?,” Phi Beta Iota Public Intelligence Blog, August 27, 2016. Steele, Robert. “Grand Strategy – No Candidate Is Serious,” Phi Beta Iota Public Intelligence Blog, August 21, 2016. Steele, Robert. “Government Policy Primer,” Phi Beta Iota Public Intelligence Blog, August 21, 2016. Steele, Robert. “Has Trump Accepted A $20B Bribe From Lynn Rothschild To Throw The Election? Or Is He Just A Big Ego With No Vision & A Rotten Staff? UPDATE 10,” Phi Beta Iota Public Intelligence Blog, August 15, 2016. Steele, Robert. “Robert Steele: In Harmony with All Life – The Open Source Way,” Phi Beta Iota Public Intelligence Blog, August 2, 2016. Steele, Robert. “Connecting Some Dots — Blacks in Prison, Police Militarization, Persecution of Whistleblowers, and False Flag Operations — All Obstacles to a Prosperous World at Peace, ” Phi Beta Iota Public Intelligence Blog, June 16, 2016. Steele, Robert. “Robert Steele: We Are All Black Now, Deal With It! — An Open Letter to Donald J. Trump,” Phi Beta Iota Public Intelligence Blog, June 3, 2016. Steele, Robert. “Robert Steele: Why Have the Rothschilds Not Been Assassinated? A Chinese Perspective Combined with Truth & Reconciliation,” Phi Beta Iota Public Intelligence Blog, June 3, 2016. Robert Steele. “Robert Steele: An Open Letter to All European Ministers on Peace Through Open Everything,” Phi Beta Iota Public Intelligence Blog, June 3, 2016. Steele, Robert. “Can Thomson Reuters [or Bloomberg] Be a $20B+ per Year World Brain?,” Phi Beta Iota Public Intelligence Blog, April 1, 2016. Steele, Robert. “Should Open Source Code Have a PayPal Address & AON Sliding Scale Rate Sheet? UPDATE 2,” Phi Beta Iota Public Intelligence Blog, March 30, 2016. Steele, Robert with Joachim Hagopian. “Answers for Joachim Hagopian on Electoral Reform,” Phi Beta Iota Public Intelligence Blog, March 28, 2016. Steele, Robert. “Answers at Midnight,” Phi Beta Iota Public Intelligence Blog, February 12, 2016. Steele, Robert. “ANSWERS: Robert Steele for Anonymous on Guantanamo and Open Power Electoral Reform,” Phi Beta Iota Public Intelligence Blog, August 30, 2015. Steele, Robert. “ANSWERS to American Freedom Farmer,” Phi Beta Iota Public Intelligence Blog, August 30, 2015. Steele, Robert. “Reflections on Cyber-Corruption,” Phi Beta Iota Public Intelligence Blog, August 3, 2015. Steele, Robert. “Reflections on Peter Drucker from the Grave,” Phi Beta Iota Public Intelligence Blog, July 29, 2015. Steele, Robert. “Answers: Steele for NATO Strategic Foresight,” Phi Beta Iota Public Intelligence Blog, June 11, 2015. Steele, Robert. “Reflections on Open Source Water Desalination,” Phi Beta Iota Public Intelligence Blog, May 12, 2015. Steele, Robert. “ANSWERS Robert Steele for Sean Lorenz on OSINT Update 3,” Phi Beta Iota Public Intelligence Blog, April 16, 2015. Steele, Robert. “ANSWERS Robert Steele for Jennifer West,” Phi Beta Iota Public Intelligence Blog, March 13, 2015. Steele, Robert. “Reflections on Killing Cops – The Canary Dies Too,” Phi Beta Iota Public Intelligence Blog, December 20, 2014. Steele, Robert. 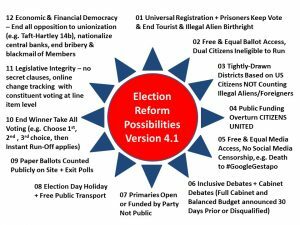 “Reflections on Electoral Reform Act of 2015 — Our Capital Demand (Includes Graphic & Demand Documents),” Phi Beta Iota Public Intelligence Blog, December 19, 2014. Steele, Robert. “ANSWERS Robert Steele with Pierre Cloutier on Smart Nations and the Future of Quebec,” Phi Beta Iota Public Intelligence Blog, December 19, 2014. Steele, Robert. “Answers to Richard Olivier on 21st Leadership with Annotated Bibliography & Links,” Phi Beta Iota Public Intelligence Blog, December 17, 2014. Steele, Robert. “Reflections: Open Letter to the President — We Lack Intelligence with Integrity — Please Fire Clapper, Vickers, & Brennan,” Phi Beta Iota Public Intelligence Blog, December 13, 2014. Steele, Robert. “Reflections: UNASUR – The Revolution Begins,” Phi Beta Iota Public Intelligence Blog, December 4, 2014. Steele, Robert. “Reflections: Paradise Found – Redefining Prosperity,” Phi Beta Iota Public Intelligence Blog, December 2, 2014. Steele, Robert. “Reflections on the Next Data Revolution,” Phi Beta Iota Public Intelligence Blog, November 23, 2014. Steele, Robert. “ANSWERS to Tomas in Brazil on Capitalism, Free Energy, Black Global Government, and Extra-Terrestials,” Phi Beta Iota Public Intelligence Blog, November 18, 2014. Steele, Robert. 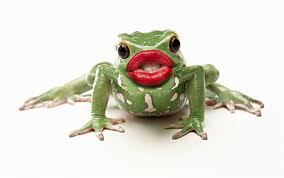 “Reflections: Kudos to Intel – #ConflictFree Toward #TrueCost?,” Phi Beta Iota Public Intelligence Blog, November 15, 2014. Steele, Robert. “ANSWERS to Spanish Dancer on CIA and SOF Replacing Conventional Forces,” Phi Beta Iota Public Intelligence Blog, November 11, 2014. Steele, Robert. “Reflections on China & The Internet,” Phi Beta Iota Public Intelligence Blog, November 2, 2014. Steele, Robert. “Reflections on US Decision-Making,” Phi Beta Iota Public Intelligence Blog, October 27, 2014. Steele, Robert. “Reflections: The New Story — Open Source Everything — The People’s World Brain,” Phi Beta Iota Public Intelligence Blog, September 23, 2014. Steele, Robert. “Answers: Robert Steele to Adam Hudson on USG IT Innovation & Geospatial,” Phi Beta Iota Public Intelligence Blog, July 1, 2014. Steele, Robert. “Answers: Robert Steele to Kevjn Lim on Big Data,” Phi Beta Iota Public Intelligence Blog, June 5, 2014. Steele, Robert. “Reflections: Appraisal of Analytic Foundations – Email Provided, Feedback Solicited – UPDATED,” Phi Beta Iota Public Intelligence Blog, May 1, 2014. Steele, Robert. “Answers: Robert Steele to Ramin D on Education & Elites in Context of Revolution,” Phi Beta Iota Public Intelligence Blog, March 1, 2014. Steele, Robert. “Reflections: how can the intelligence community remain relevant in the 21st century,” Phi Beta Iota Public Intelligence Blog, February 22, 2014. Steele, Robert. “Reflections on the Ecuador Initiative — Open Source Everything Combined with Ethical Evidence-Based Decision-Support 1.1,” Phi Beta Iota Public Intelligence Blog, February 11, 2014. Steele, Robert. “Reflections on the Future of Information Technology – An Open Letter,” Phi Beta Iota Public Intelligence Blog, February 3, 2014. Steele, Robert. “Reflections on Specific Intelligence Reforms (Including Alarm on NSA from 1994 Onwards),” Phi Beta Iota Public Intelligence Blog, January 29, 2014. Steele, Robert. “Reflections: Policy Makers and Social Science — Distant & Lacking Value-Added Decision-Support,” Phi Beta Iota Public Intelligence Blog, January 22, 2014. Steele, Robert. “Reflections on Intelligence Reform,” Phi Beta Iota Public Intelligence Blog, January 21, 2014. Steele, Robert. “Reflections on Tired Databases versus Wired Analytics + Jack Davis & Analytic Tradecraft RECAP,” Phi Beta Iota Public Intelligence Blog, July 19, 2013. Steele, Robert. “Short Story Board (8 Graphics): Public Intelligence in the Public Interest [OSE + M4IS2 + Panarchy = World Brain & Global Game = Prosperous World at Peace],” Phi Beta Iota Public Intelligence Blog, July 19, 2013. Steele, Robert. “Reflections on NATO 4.0 — Key Challenges AND Solutions 1.2,” Phi Beta Iota Public Intelligence Blog, July 11, 2013. Steele, Robert. “Reflections on Insanity & Integrity + Reflections RECAP,” Phi Beta Iota Public Intelligence Blog, June 8, 2013. Steele, Robert. “Reflections on the Protection of Civilians – US Army List with Corrected Responsibilities 1.1,” Phi Beta Iota Public Intelligence Blog, June 1, 2013. Steele, Robert. “Reflections on Alternative Command & Control and Four Transformation Forcing Concepts,” Phi Beta Iota Public Intelligence Blog, May 15, 2013. Steele, Robert. “Reflections on Information Pathologies & Organizational Intelligence — Why Predictive Analytics on Industrial Era Data is Fraud, Waste, & Abuse,” Phi Beta Iota Public Intelligence Blog, April 1, 2013. Steele, Robert. “Robert Steele Answers on OSINT to PhD Student in Denmark 2.0,” Phi Beta Iota Public Intelligence Blog, March 1, 2013. Steele, Robert. “Robert Steele Answers to MA Student in UK — OSINT and Terrorism 2.0,” Phi Beta Iota Public Intelligence Blog, February 9, 2013. Steele, Robert. “Reflections on the Inability of Washington to Think with Integrity,” Phi Beta Iota Public Intelligence Blog, January 19, 2013. Steele, Robert. “Reflections on Lincoln, Principle, Compromise, Autonomous Internet & Citizen Intelligence / Counter-Intelligence 2.0 with Meta-RECAP,” Phi Beta Iota Public Intelligence Blog, January 14, 2013. Steele, Robert. “Reflections on the Next Four Years — Eradicate “Distortions,” Get the Truth on the Table, and Focus on Free Energy,” Phi Beta Iota Public Intelligence Blog, January 9, 2013. Steele, Robert. “Reflections on Reform 2.3 Numbers for 30% DoD Cut over 2-4 Years,” Phi Beta Iota Public Intelligence Blog, January 4, 2013. Steele, Robert. “Reflections on Healing the Americas — Open Source Agency & Hourglass Strategy,” Phi Beta Iota Public Intelligence Blog, December 28, 2012. Steele, Robert. “Reflections on the US Military — Redirection Essential — and a Prerequisite to Creating a 450-Ship Navy, a Long-Haul Air Force, and an Air-Liftable Army + Sanity RECAP,” Phi Beta Iota Public Intelligence Blog, December 28, 2012. Steele, Robert. “Reflections: The Human Factor & The Human Environment: Concepts & Doctrine? Implications for Human & Open Source Intelligence 2.0,” Phi Beta Iota Public Intelligence Blog, December 12, 2012. Steele, Robert. “Practical Reflections on United Nations Intelligence + UN RECAP,” Phi Beta Iota Public Intelligence Blog, November 22, 2012. Steele, Robert. “Reflections: Intelligence for the President Revisited,” Phi Beta Iota Public Intelligence Blog, November 10, 2012. Steele, Robert. “Reflections on Inspectors General,” Phi Beta Iota Public Intelligence Blog, September 28, 2012. Steele, Robert. “Reflections on United Nations Intelligence & Counterintelligence,” Phi Beta Iota Public Intelligence Blog, August 16, 2012. Steele, Robert. “Reflections on Data as the New Oil BUT No One Is Serious About Holistic Analytics, True Cost Economics, Machine or Man-Machine Translation, or M4IS2,” Phi Beta Iota Public Intelligence Blog, July 25, 2012. Steele, Robert. “Robert Steele Answers PhD Student Questions,” Phi Beta Iota Public Intelligence Blog, July 16, 2012. Steele, Robert. “Itemization of Information Pathologies“, Phi Beta Iota Public Intelligence Blog, Marach 3, 2012. Steele, Robert. “Reflections: Citizen in Search of Integrity,” Phi Beta Iota Public Intelligence Blog, October 5, 2011. Steele, Robert. “Robert Steele: Open Answers to Adam Dorwart,” Phi Beta Iota Public Intelligence Blog, July 16, 2011. Steele, Robert. 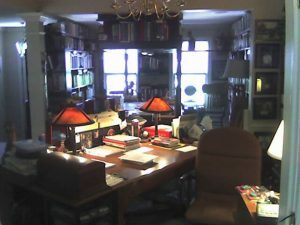 “1957+ Story Board: Peace & Prosperity Through Ethical Evidence-Based Decision-Support — Analytic Sources, Models, Tools, & Tradecraft,” Phi Beta Iota Public Intelligence Blog, June 21, 2011. Steele, Robert. “Reflections on Revolution, Information & Civil Affairs,” Phi Beta Iota Public Intelligence Blog, March 21, 2011. Steele, Robert. “Reflections on Integrity UPDATED + Integrity RECAP,” Phi Beta Iota Public Intelligence Blog, September 28, 2010. Steele, Robert. “Reflections on Peace & Prosperity,” Phi Beta Iota Public Intelligence Blog, December 5, 2009. Steele, Robert. 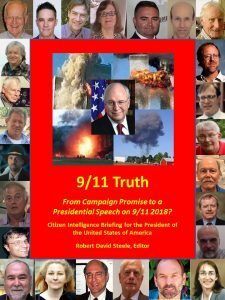 “2009 Robert Steele: Politics & Intelligence–Partners Only When Integrity is Central to Both,” Phi Beta Iota Public Intelligence Blog, October 13, 2009.